THIS AGREEMENT CONTAINS A PROVISION THAT GENERALLY REQUIRES THE USE OF ARBITRATION ON AN INDIVIDUAL BASIS TO RESOLVE DISPUTES, RATHER THAN JURY TRIALS OR CLASS ACTIONS, AND ALSO LIMITS THE REMEDIES AVAILABLE TO YOU IN THE EVENT OF A DISPUTE. PLEASE SEE THE GOVERNING LAW & DISPUTE RESOLUTION SECTION BELOW FOR INFORMATION. You may use our Website for lawful purposes only. Your rights to use this Website may be further limited by federal law or the laws or regulations in your particular state or locality. The contents of this Website, such as text, graphics, images, video and other content (the “Site Content”), are protected by copyright under both United States and foreign laws. We authorize you, non-exclusively and non-transferably, to view and download a single copy of the Site Content for your personal use. This authorization is not a transfer of title in the Site Content or copies of the Site Content. Unauthorized use of the Site Content violates copyright, trademark, and other laws. You agree to retain all copyright and other proprietary notices contained in the original Site Content on any copy you make of such material. You may not sell or modify our Site Content or reproduce, display, distribute, or otherwise use the Site Content in any way for any public or commercial purpose. You acknowledge that the Service contains Site Content, which collectively refers to any of the following owned by us or certain third parties as specified hereunder: any text, graphics, images, information, software, audio and video clips, links, logos, icons, and other material, including but not limited to proprietary and confidential information, copyrights, patents, trade secrets, trade dress, service marks and trademarks, including the Marks (as defined below). Any Site Content owned by us is referred to herein as “Our Site Material.” Site Content may also include “Third Party Site Material” and “User Information,” both as defined below. Our Site Material may include technical inaccuracies or typographical errors. We reserve the right to make changes and updates to any information contained on our Website without prior notice. You understand and agree that you may not remove, alter or cover any copyright or other proprietary notices placed on our Website. No other license to use any of the Site Content is given or implied without the respective owner’s prior written consent. You may not transfer the Site Content to any other person unless you give him or her notice of, and s/he agrees to accept, the obligations arising under these Terms. You agree that you will not refer to or attribute any information to us in any public medium (regardless of form) for advertising, public relations, marketing or other purpose (including informing or influencing any third party). You also agree that without our express, written permission you will not incorporate a hyperlink to our Website into your Website or the Website of another including, but not limited to, links to the home page, deep links, or framed links. Unless otherwise expressly permitted hereunder, you may not sell, rent, modify, reproduce, display, distribute, redistribute, republicize, retransmit, participate in the transfer or sale, create derivative works, or in any way exploit or otherwise use the Site Content, in whole or in part, in any way without the respective owner’s prior written consent. The names, marks, logos and/or text appearing on the Site Content (“Marks”) are registered and unregistered trademarks owned by us and protected under all applicable laws, except as otherwise noted on the Website. Unless otherwise specified hereunder, such Marks may not be used in any way that is not expressly authorized by us or by the respective owner, including but not limited to Marriott, Hilton and Hyatt, in any manner that is likely to cause confusion among the public about us or our business (or the respective owner and its business), or in any manner that disparages or discredits us (or the respective owner and its business). As a user of the Service, you agree to carefully read and abide by the Terms, including any user rules of conduct as specified below. You must be over 18 to access and use our Site and Services. If you are over 18, you agree to take full and active responsibility to prevent the use of our Site and Services by any children under 18 you may be responsible for as a parent or legal guardian. If you are under 18, you may not access and use the Site and Services without your parent’s or legal guardian’s supervision. You agree that you will not use our Website to post, transmit or distribute, or cause to be posted, transmitted or distributed, any material that (1) violates any local, state, federal or international laws; (2) violates the proprietary rights, intellectual property rights (including without limitation copyright and trademark rights), rights of privacy or publicity, moral rights, rights of attribution, or any other related rights of others; (3) is intended to advertise or solicit business including but not limited to any multi-level marketing scheme; (4) purports to be provided by another person; (5) is obscene, harassing, threatening, defamatory, libelous, or abusive; or (6) is a chain letter or part of a pyramid scheme. You agree not to impersonate any person or entity or otherwise misrepresent your affiliation with a person or entity. You agree not to “stalk” or otherwise harass another or store personal data about other users. You may not introduce any material into our Website that contains any viruses, Trojan horses, worms, time bombs, or other computer programming routines that may damage, interfere with, or appropriate our Website or any information residing on our Website. You may not inject code or otherwise alter or interfere with the way the Website is rendered or displayed in a user’s browser or device. We reserve the right to delete any information you post on our Website that we in our sole discretion determine to be inaccurate, violative of law or otherwise violative of our policies. You will not attempt to circumvent any content-filtering techniques we employ, or attempt to access areas or features of our Website that you are not authorized to access. You will not probe, scan, or test the vulnerability of our Website or any system or network. If you use, or attempt to use, our Website or its Content for improper purposes including without limitation tampering, hacking, modifying, or otherwise corrupting the security of our Website, you will be responsible for all damages including, but not limited to, criminal prosecution and civil and criminal penalties. This Website contains forward-looking statements within the meaning of Section 27A of the Securities Act of 1933, as amended, and Section 21E of the Securities Exchange Act of 1934, as amended. Forward-looking statements are typically identified by use of statements that include phrases such as “may,” “believe,” “expect,” “anticipate,” “intend,” “estimate,” “project,” “target,” “goal,” “plan,” “should,” “will,” “predict,” “potential,” “outlook,” “strategy,” and similar expressions that convey the uncertainty of future events or outcomes. Such statements involve known and unknown risks, uncertainties, and other factors which may cause the actual results, performance, or achievements of Apple Hospitality REIT, Inc. (the “Company”) to be materially different from future results, performance or achievements expressed or implied by such forward-looking statements. Such factors include, but are not limited to, the ability of the Company to effectively acquire and dispose of properties; the ability of the Company to successfully integrate pending transactions and to implement its operating strategy; changes in general political, economic and competitive conditions and specific market conditions; adverse changes in the real estate and real estate capital markets; financing risks; litigation risks; regulatory proceedings or inquiries; and changes in laws or regulations or interpretations of current laws and regulations that impact the Company’s business, assets or classification as a real estate investment trust. Although the Company believes that the assumptions underlying the forward-looking statements contained herein are reasonable, any of the assumptions could be inaccurate, and therefore there can be no assurance that such statements included on this Website will prove to be accurate. In light of the significant uncertainties inherent in the forward-looking statements included herein, the inclusion of such information should not be regarded as a representation by the Company or any other person that the results or conditions described in such statements or the objectives and plans of the Company will be achieved. In addition, the Company’s qualification as a real estate investment trust involves the application of highly technical and complex provisions of the Internal Revenue Code. Readers should carefully review the risk factors described in the Company’s filings with the Securities and Exchange Commission, including, but not limited to, those discussed in the section titled “Risk Factors” in the Company’s most recent Annual Report on Form 10-K. Any forward-looking statement that the Company makes speaks only as of the date of such statement. The Company undertakes no obligation to publicly update or revise any forward-looking statements or cautionary factors, as a result of new information, future events, or otherwise, except as required by law. The Company is not providing investment advice through the Website, and the material on the Website should not be regarded as an offer to sell, or a solicitation of an offer to buy, any securities of the Company. If you decide to use any material available on the Website in assessing whether to buy or sell securities of the Company, please be aware that the material on the Website reflects past performance and historical information only, and that such performance and information is not necessarily an indication of future performance. “Courtyard by Marriott®,” “Fairfield by Marriott®,” “Fairfield Inn by Marriott®,” “Fairfield Inn & Suites by Marriott®,” “Marriott® Hotels,” “Renaissance® Hotels,” “Residence Inn by Marriott®,” “SpringHill Suites by Marriott®,” and “TownePlace Suites by Marriott®” are each a registered trademark of Marriott International, Inc. or one of its affiliates. All references to “Marriott®” mean Marriott International, Inc. and all of its affiliates and subsidiaries, and their respective officers, directors, agents, employees, accountants and attorneys. Marriott® is not responsible for the content of this Website, whether relating to the hotel information, operating information, financial information, Marriott®’s relationship with Apple Hospitality REIT, Inc. or otherwise. Marriott® was not involved in any way, whether as an “issuer” or “underwriter” or otherwise in any Apple Hospitality REIT, Inc. offering and received no proceeds from any offering. Marriott® has not expressed any approval or disapproval regarding this Website, and the grant by Marriott® of any franchise or other rights to Apple Hospitality REIT, Inc. shall not be construed as any expression of approval or disapproval. Marriott® has not assumed and shall not have any liability in connection with this Website. 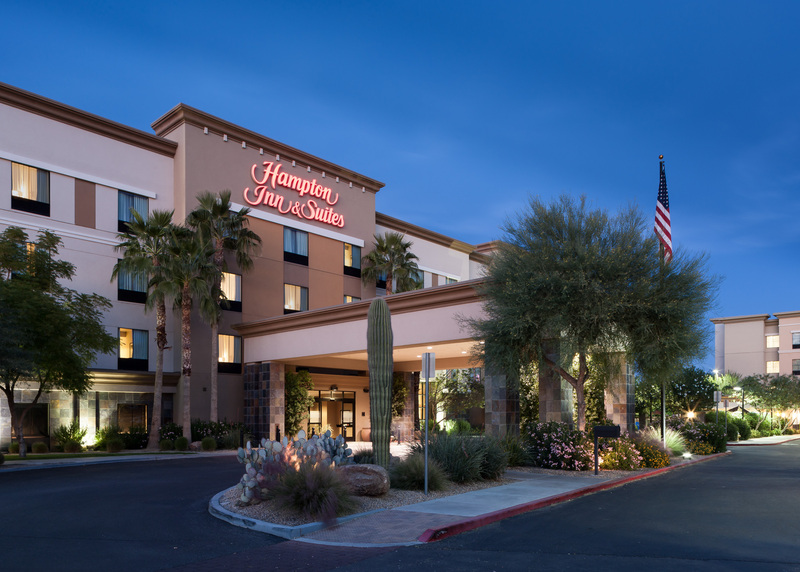 “Embassy Suites by Hilton®,” “Hampton Inn by Hilton®,” “Hampton Inn & Suites by Hilton®,” “Hilton® Hotels & Resorts,” “Hilton Garden Inn®,” “Home2 Suites by Hilton®,” and “Homewood Suites by Hilton®” are each a registered trademark of Hilton Worldwide Holdings Inc. or one of its affiliates. All references to “Hilton®” mean Hilton Worldwide Holdings, Inc. and all of its affiliates and subsidiaries, and their respective officers, directors, agents, employees, accountants and attorneys. Hilton® is not responsible for the content of this Website, whether relating to hotel information, operating information, financial information, Hilton®’s relationship with Apple Hospitality REIT, Inc., or otherwise. Hilton® was not involved in any way, whether as an “issuer” or “underwriter” or otherwise, in any Apple Hospitality REIT, Inc. offering and received no proceeds from any offering. Hilton® has not expressed any approval or disapproval regarding this Website, and the grant by Hilton® of any franchise or other rights to Apple Hospitality REIT, Inc. shall not be construed as any expression of approval or disapproval. Hilton® has not assumed and shall not have any liability in connection with this Website. “Hyatt Place®” and “Hyatt House®” are each a registered trademark of Hyatt Hotels Corporation or one of its affiliates. All references to “Hyatt®” mean Hyatt Hotels Corporation and all of its affiliates and subsidiaries, and their respective officers, directors, agents, employees, accountants and attorneys. Hyatt® is not responsible for the content of this Website, whether relating to hotel information, operating information, financial information, Hyatt®’s relationship with Apple Hospitality REIT, Inc., or otherwise. Hyatt® was not involved in any way, whether as an “issuer” or “underwriter” or otherwise, in any Apple Hospitality REIT, Inc. offering and received no proceeds from any offering. Hyatt® has not expressed any approval or disapproval regarding this Website, and the grant by Hyatt® of any franchise or other rights to Apple Hospitality REIT, Inc. shall not be construed as any expression of approval or disapproval. Hyatt® has not assumed and shall not have any liability in connection with this Website. A statement that the information in the notification is accurate and, under penalty of perjury, that you are authorized to act on behalf of the copyright owner. We reserve the right to expel users and prevent their further access to this Website for violating these terms or the law and reserve the right to remove any communications from this Website. Although we strive for accuracy in all elements of the Site Content, it may contain inaccuracies or typographical errors. We make no representations about the accuracy, reliability, completeness, or timeliness of the material on this Website or about the results to be obtained from using our Website. You use our Website and its material at your own risk. WE DO NOT WARRANT THAT THE WEBSITE WILL OPERATE ERROR-FREE OR THAT THE WEBSITE AND ITS SERVER ARE FREE OF COMPUTER VIRUSES OR OTHER HARMFUL MATERIAL. IF YOUR USE OF THE WEBSITE OR THE SITE’S MATERIAL RESULTS IN THE NEED FOR SERVICING OR REPLACING EQUIPMENT OR DATA, WE SHALL NOT BE RESPONSIBLE FOR THOSE COSTS. THIS WEBSITE AND ITS MATERIAL ARE PROVIDED ON AN “AS IS” AND “AS AVAILABLE” BASIS WITHOUT ANY WARRANTIES OF ANY KIND. WE AND OUR AFFILIATES, TO THE FULLEST EXTENT PERMITTED BY LAW, DISCLAIM ALL WARRANTIES, EXPRESS OR IMPLIED, INCLUDING WITHOUT LIMITATION THE WARRANTY OF MERCHANTABILITY, OF NON-INFRINGEMENT OF THIRD PARTIES’ RIGHTS, AND OF FITNESS FOR A PARTICULAR PURPOSE. WE AND OUR AFFILIATES MAKE NO WARRANTIES ABOUT THE ACCURACY, RELIABILITY, COMPLETENESS, OR TIMELINESS OF THE MATERIAL, SERVICES, SOFTWARE, TEXT, GRAPHICS, AND LINKS ON ITS WEBSITE. APPLE HOSPITALITY REIT, INC. TAKES NO RESPONSIBILITY AND ASSUMES NO LIABILITY FOR ANY CONTENT THAT YOU, ANOTHER USER, OR A THIRD PARTY CREATES, UPLOADS, POSTS, SENDS, RECEIVES, OR STORES ON OR THROUGH THE WEBSITE. APPLE HOSPITALITY REIT SPECIFICALLY DISCLAIMS LIABILITY FOR ANY BACK DOOR, TIME BOMB, TROJAN HORSE, WORM, DROP DEAD DEVICE, VIRUS, SPYWARE, MALWARE, OR ANY OTHER COMPUTER CODE OR SOFTWARE ROUTINE THAT PERMITS UNAUTHORIZED ACCESS OR DISRUPTS OR IMPAIRS THE NORMAL OPERATION OF THE WEBSITE OR YOUR NETWORK OR SYSTEMS, THAT YOU, ANOTHER USER, OR A THIRD PARTY CAUSES TO BE TRANSMITTED. YOU UNDERSTAND THAT, BY ACCESSING AND USING THE SERVICES, YOU MAY BE EXPOSED TO CONTENT THAT MAY BE OFFENSIVE, ILLEGAL, MISLEADING, OR OTHERWISE INAPPROPRIATE AND THAT APPLE HOSPITALITY REIT, INC. IS NOT RESPONSIBLE FOR SUCH CONTENT. APPLE HOSPITALITY REIT EXPRESSLY DISCLAIMS ANY RESPONSIBILITY OR LIABILITY TO ANY PERSON OR ENTITY FOR ANY DAMAGE (WHETHER INDIRECT, INCIDENTAL, SPECIAL, CONSEQUENTIAL, PUNITIVE, OR OTHERWISE), INJURY, CLAIM, LIABILITY, OR ANY OTHER CAUSE OF ANY KIND OR CHARACTER BASED ON OR RESULTING FROM ANY CONTENT. BY ACCESSING OR USING THE WEBSITE, YOU REPRESENT AND WARRANT THAT YOUR ACTIVITIES ARE LAWFUL IN EVERY JURISDICTION WHERE YOU ACCESS OR USE THE WEBSITE. IN NO EVENT SHALL WE BE LIABLE FOR ANY DAMAGES WHATSOEVER (INCLUDING, WITHOUT LIMITATION, INCIDENTAL, CONSEQUENTIAL OR PUNITIVE DAMAGES, LOST PROFITS OR REVENUES, OR DAMAGES RESULTING FROM LOST DATA OR BUSINESS INTERRUPTION), WHETHER INCURRED DIRECTLY OR INDIRECTLY, RESULTING FROM (I) THE USE OR INABILITY TO USE MATERIAL ON THIS WEBSITE OR SITES LINKED TO THIS WEBSITE; OR (II) UNAUTHORIZED USE, ACCESS, OR ALTERATION OF THE WEBSITE OR YOUR CONTENT ON THE WEBSITE, WHETHER BASED ON WARRANTY, CONTRACT, TORT, OR ANY OTHER LEGAL THEORY, AND WHETHER OR NOT WE ARE AND/OR ANY AFFILIATE IS ADVISED OF THE POSSIBILITY OF SUCH DAMAGES. THE FOREGOING LIMITATIONS OF LIABILITY SHALL APPLY TO THE FULLEST EXTENT PERMITTED UNDER APPLICABLE LAW AND NOTWITHSTANDING A FAILURE OF ESSENTIAL PRUPOSE OF ANY REMEDY PROVIDED IN THESE TERMS. This Website contains a link to EDGAR, a database maintained by the U.S. Securities and Exchange Commission (“SEC”). You can review the filings Apple Hospitality REIT, Inc. has made with the SEC by linking directly to EDGAR. The EDGAR link is provided for information purposes only, and is not intended for trading or investment purposes. Our Site Content may include information, products or services provided by third parties on, linked to, or framed within, the Website (“Third Party Site Material”). Site Content may include, but is not limited to, information, products or services provided by Marriott, Hilton or Hyatt. Third Party Site Materials are the opinions and creations of the authors and/or owners identified in those materials. As such, we do not assume any responsibility or liability for any Third Party Site Material. Our publication of Third Party Site Material does not constitute our endorsement, warranty or guarantee of any information, instruction, opinion, products or services contained within the Third Party Site Material. We reserve the right, in our sole discretion, to establish practices regarding a visitor’s use of the Service and storage of any Site Content posted on the Website. We have no responsibility or liability for the deletion or failure to store any Site Content and any other communications maintained or transmitted through the Service. By using this Website, you agree to indemnify, defend and hold harmless us and all of your officers, directors, agents, employees, contractors, and information and service providers (“Indemnified Parties”) from any claim, demand, losses, damages, costs, and/or expenses including reasonable attorney’s fees, accounting fees, and related costs, including court costs, attributable to or arising from your posting of User Information through the Service, your use of the Service, your use of the Site Content, your conduct through the Service, your communications to third parties through the Service, your violation of these Terms, and/or your violation of any other rights related to the Service. We reserve the right to assume or participate, at your expense, in the investigation, settlement and defense of any such action or claim. We may immediately, at any time and in our sole discretion, (1) terminate or limit your use of or access to the Service, or any part thereof, or (2) remove and discard any Site Content within the Service, for any reason, including without limitation, your lack of use, your breach of any terms and conditions hereunder, or if we believe you violated or acted inconsistently with the letter or spirit of the Agreement. We may change, suspend or discontinue any aspect of the Website or Service, or any part thereof, or impose any limits on any feature or service, including the availability of any Website feature, database, or Site Content for any reason, at any time, and without notice. You agree that we will not be liable in any way to you or to any third party for any actions we take as described herein or otherwise. These Terms are governed, construed and enforced in accordance with the laws of the Commonwealth of Virginia, without giving effect to its conflicts of law rules. Before seeking legal recourse for any harm you believe you have suffered from your access to our Website, you will give us written notice specifying the harm and thirty (30) days to cure the harm after providing such notice. To the fullest extent permitted by law, you and we agree to submit exclusively any claim, controversy or dispute arising out of or relating to the Website, the Services, this Agreement or any other policies or other terms incorporated therein (including the breach, termination, enforcement, interpretation, enforceability, validity, or rights under any of any of the foregoing) (each, a “Dispute”) for resolution by confidential, individual, binding arbitration, except that you may assert claims in small claims court if your claims qualify. To the fullest extent permitted by law: (i) you expressly waive any right you may have to arbitrate a dispute as a class action; and (ii) you also expressly waive your right to a jury trial. The arbitration will be held in Virginia. If this location is not convenient for you, please let us know. We will work with you to determine a mutually convenient location. Any disagreements regarding the forum for arbitration will be settled by the arbitrator. Disputes will be arbitrated on an individual basis and not as a class action. In the event that arbitration is not permitted by applicable law: (i) the parties expressly agree that any Dispute will be brought and heard solely and exclusively in the federal or state courts of competent jurisdiction located in Virginia. The parties waive any plea or defense that such courts are not the appropriate venue or that they are not subject to personal jurisdiction of such courts. The arbitration will be administered by JAMS. You may obtain a copy of the rules of JAMS by contacting the organization. Each of us shall agree on one arbitrator to conduct the arbitration. In the event the parties cannot agree on an arbitrator, the arbitrator will be selected in accordance with the JAMS rules. Notwithstanding anything to the contrary in this Section, to the extent either party in any manner has violated or threatened to violate the other party’s intellectual property rights, the non-breaching party may seek injunctive or other appropriate relief in any state or federal court of competent jurisdiction. This Website originates from Richmond, Virginia, USA. We make no representations that the information on our Website is appropriate or available for use in any location outside of the United States. Access to the Website from other countries or territories is strictly prohibited if such access is illegal in such jurisdictions. You agree that your decision to access our Website is done solely on your own initiative, and that you are solely responsible for complying with any applicable laws regarding such access. We make no representation that our Site Content is appropriate or available for use in any jurisdictions or countries other than the United States. You may not use our Website or export Site Content in violation of U.S. export laws and regulations. Given the global nature of the Internet, you agree to comply with all local rules (from where you physically reside) regarding Internet conduct and content. You also agree to comply with all applicable laws regarding the transmission of technical data exported from the United States or the country in which you physically reside. All employment-related information on this Website is subject to modification or elimination at our sole discretion. Nothing on this Website creates an express or implied contract of employment. If you have any questions about these Terms of Service, please contact us at info@applehospitalityreit.com or write to us at: 814 East Main Street, Richmond, VA 23219.